I have been active in the San Diego birth community since 2004. Prior to that, I taught yoga for several years with a heavy emphasis on prenatal and childrens yoga. I love helping women and watching them transition into motherhood. For over fifteen years, I have worked with new mothers and have had great and enriching experiences with many families and their different parenting methods as well as cultures. By nature, I am an intent listener and calming, meditative presence. I am a generous spirit who believes in empowering and supporting women during this special time in their lives so that mother and partner have a positive experience to remember. 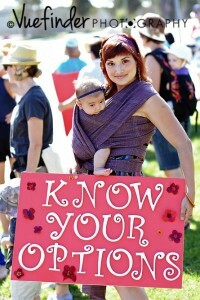 As a birth doula, I do not have a personal agenda for your birth. With each family, I work with mom (and partner) during pregnancy to explore what kind of a birth experience they desire. Once mom is in labor, I am there to support, guide and assist you in having the birth you want. Certainly, not all births go as planned and I will be there to help you adjust to unexpected situations as they arise. I support all women through all birth choices. 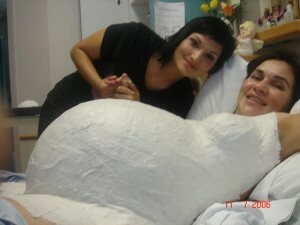 Whether mom wants to have an active labor, induction, epidural or scheduled c-section; all birth wishes are supported. In the end, it is my hope that you have a positive birth experience and enter motherhood feeling validated and supported. As a postpartum doula, I help nurture the new mother by offering her emotional support, aid in faster recovery and help find the confidence she and her partner need to meet the challenges of newborn(s). I am trained as a newborn specialist to assist and answer questions in a non-judgmental way. Offering placenta encapsulation to new mothers allows me to be a part of their birth and postpartum healing. I enjoy bridging this gap and transition that is often forgotten. I am constantly updating my education and skills by monitoring the latest progressions in nutrition, newborn development, breastfeeding/lactation, baby sleep strategies, reflux, SIDS and many other issues. My work is my passion! I love helping new mothers find their way. I am honored to work in this field that is so full of life and love. Helping moms, partners and families through the postpartum period is very rewarding for me and I feel fortunate to be part of their lives. I pride myself on nurturing moms, newborns and families with endless support and assistance, as families adjust to having a new baby in the house, and all new endeavors and challenges this involves. Thank you for considering my services as part of your cherished birth experience!